= Get 2 Bars for FREE! First I wanted you all to know that you should be able to roll the Tostitos/Pepsi $10 RR into the NyQuil $10 RR deal..and vice versa to keep your prices a little bit lower.. have fun! You might want to do a special order for these items if you want a lot of them..but order soon so you can get it in time for the sale. *Hot! *Mix n Match Pepsi/Tostitos, Doritos/ Lays Register Reward Promotion: Buy $20 worth get $10 RR! 1 Bag Stacys Pita Chips $2.50- using my free Stacys Coupon – did you get yours? = Pay $11.45, get back $10 RR! That is a cheap superbowl game feast.. If you bought just Gatorades with (20).50/1 coupons, you would pay $10, get back $10= FREE after RR and coupons! 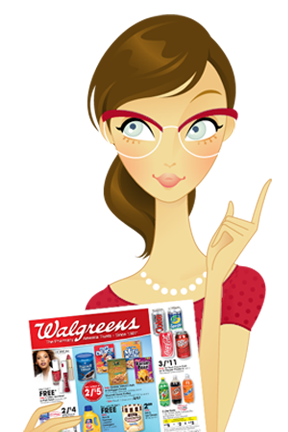 Vicks DayQuil or NyQuil on sale $5- Buy $15 worth, get $5 RR; Buy $20 worth, get $10 RR! Lean Cuisine Spaghetti Beef/Mush 11.5 0z or Lean Cuisine Flat Bread Chicken Ranch 6.5 oz. Then I rolled that cat into the pepsi/tostitos deal. I did almost the same deal you listed. =$5.39oop and received $10rr now I’m ready for a super bowl party. Thank you! You’ve listed a lot of specials that other sites haven’t! I really appreciate all the work you do! I would think that they would print!! Definately try. Those are some sweet coupons!! I have another question, I have 7 free lean cuisine coupons, if I use all free coupons do you think the RR will print? If so that would be pretty cool. Where did you get the Stacy’s Pita chips coupon? Is it a VocalPoint one? I could so use a lot of these items and I have a couple cat’s that expire on that day.